From the moment the lights dimmed along with the captivating prelude of classical music, the audience was in suspense, to see the works from Melbourne Ballet Company in presenting Arché. 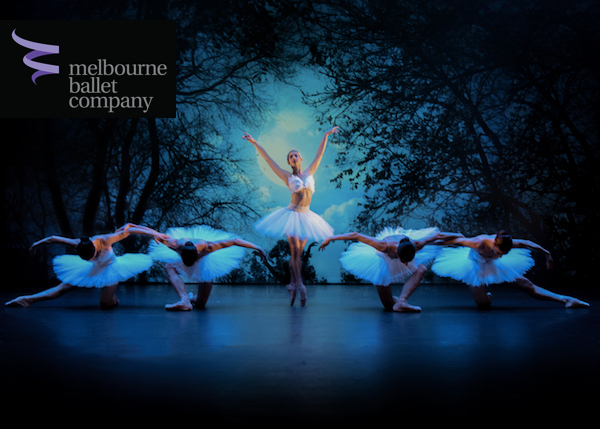 Inspired by Swan Lake, created by Directors Simon Hoy and Alisa Finney, the performance is based on the age-old classic Swan Lake. The concept was influenced from the Greek Myth, Leader and the Swan and The Dying Swan. The title representing the Greek word that indicates the beginning, the principal from which all things arise being the force that explains their birth and death. The stunning classical music of Tchaikovsky, Einaudi, Arnalds, Morricone and Jeanreanaud, was both alluring and invigorating. From the moment the curtain raised, the stunning lines presented from the beautifully trained dancers, motivated and presented the defined efforts of hard work that was offered for such a strenuous performance. This hour show consisting of two 30-minute acts, blended together the fusion of traditional classical elements with the innovation of our modern world, intertwining the creativity of resident choreographer Simon Hoy and guest choreographer Tim Podesta. Simon has been the resident choreographer of the MBC since returning from New York in 2007 and from 2011 has also taken on the role as Artistic Director of the company on tour. Clearly offering his multitalented artistic quality, Simon is also the lighting designer and along with Antonia Leonardi, the costume designer offering simple yet effectively elegant costume design. Tim recently choreographed a new work for MBC’s Being and Time season, which premiered at Hawthorne Arts Centre in March 2017 and was also well-received in Sydney and beyond. The combination of the two creative forces, certainly bought together intriguing dynamics and a delightful blend of traditional classical elements, enhanced with innovative lines, shapes and emotional depth to the production. Krysti Lee Denovan who played Odette/Odile was a perfect example of grace, athleticism and a master technician. Her work was beautifully executed and indeed a stand out performance. The assortment and mixture of quirky, vibrant roles from the rest of the cast, offered some good variety and layering to the performance and the company dancers blended well together. Alexander Baden Bryce who played Von Rothbart, certainly influenced the dark side offering great masculinity and strength with some gorgeous moments with he’s swan. Although the performance lacked a little in production quality and real emotional connection with the chosen theme, the closing scene was a beautifully mastered finale, offering both energy of surrender and power that truly engulfed anticipation and the gift of humanity. The artistry display and influence within this conceptive piece, offers an opportunity to be taken to another dimension of creativity and imagination. A great production that is certainly a great choice of entertainment particularly for the budding ballerina to be inspired by some up-and-coming talent. Indeed, a beautiful night at the ballet. Arché will continue to tour to regional NSW, Victoria, ACT and to New Zealand throughout July to October 2017. Click here for details. Next Post Balanchine's Symphony in C + more!